The goal for this project was to create a poster to go on a time capsule to be opened decades in the future. The poster required a realistic vector illustration of the subject matter with full explanation on how to use it. 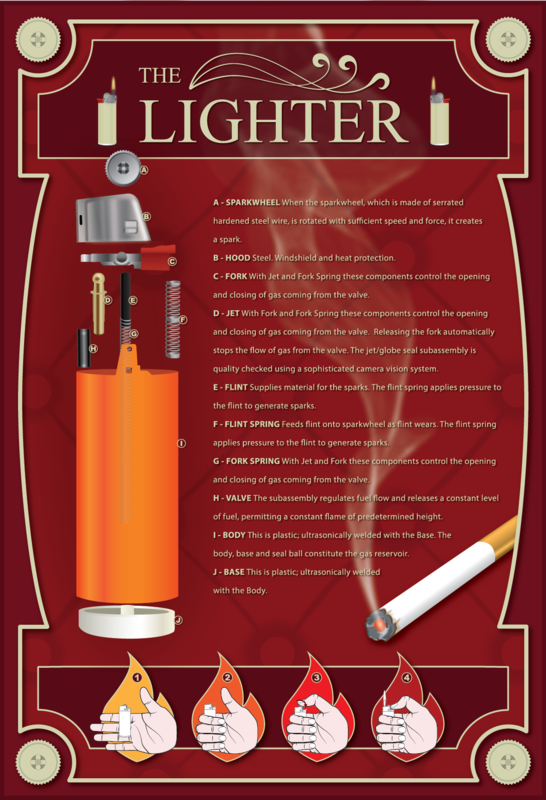 I picked a lighter because it provides one of the most essential elements for human survival. I also want to mention I am not an advocate for smoking cigarettes but in my head I always associate lighters with cigarettes. I hope you enjoy looking at this poster just as much as I enjoyed making it!